Is Voting for Trump Like Voting for Brexit? This is a claim made by some folks out there, but the likening doesn’t seem to hold up. What was the Brexit, after all? It was Great Britain withdrawing from the E.U. superstate and reclaiming her self-rule. For people in the [u]nited States to do something comparable, one or more of the States would have to withdraw from the superstate governed by Washington City. Donald Trump says he would like to re-work some trade treaties and stay out of others (which would be good), but this is not quite the same thing as Brexit. Furthermore, under the Trump economic plan, the same multinational corporations who seek the globalist trade deals he says he opposes (Apple, General Motors, etc.) will still be in control of the American economy (and thus American politics as well, most likely). So not much would change for the average American as far as how much economic independence he or she would have. Far too many would still be wage-slaves of Wal-Mart, Ford Motor Co., Burger King, Chase, and all the rest. 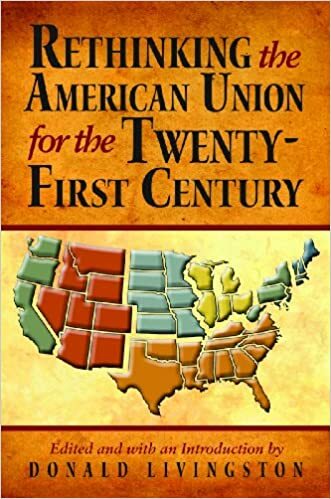 Anyone in the American Union, therefore, who wants a real break with Mammon-loving, Christ-hating, corporate-controlled government, who wants a return to traditional, Church- and family-centered living, will need to consider other options like peaceful secession. It is obvious that the most important thing in life, the Christian Faith, is under assault by the current powers-that-be in the u. S. If the forefathers of Americans, North and South, were willing to get into a shooting match with the British Empire over tea taxes and jury trials, can we not in the South today, or in Montana or Indiana or other supposedly evangelical Christian strongholds, muster enough courage and energy to pursue peaceful secession for the sake of our salvation and that of the bairn-teams (generations) that will follow us? —Some accused and still accuse St. Alexander Nevsky of “servile submission” to the invaders. They argue he submitted to the pagan Tartars, while St. Dimitry Donskoy, with the blessing of Venerable Sergius of Radonezh initiated the liberation of Russia and defeated the Tartars. What is the difference? Why did the former submit, while the latter began a liberation war? —We should remember that in the thirteenth century Russia also had much worse enemies—its potential conquerors—than the Mongols who then were tolerant towards Orthodoxy. While Mongols were interested only in the material aspect of occupation, the neighbors from the West thirsted for Russia’s spiritual occupation. By the way, the results of that longing can clearly be seen in today’s Ukraine. This Uniate “Church,” these divisions and schisms, are fruits of that early history, when prince Daniel of Galicia (Danilo Romanovich) requested aid from the heterodox. But he neither received assistance nor saved Russia from pillage. Meanwhile, St. Alexander Nevsky, removing the menace of spiritual occupation from the West, submitted to the Mongols and thus saved hundreds of thousands of human lives and preserved Orthodoxy. As the historian George Vernadsky put it: “These were the two heroic deeds of St. Alexander Nevsky: the exploit of struggle in the West and the exploit of humility in the East.” By the way, thanks to him many invaders subsequently became Christians by divine providence. However, by the fourteenth century the Horde was no longer tolerant towards the faith of Christ, and indeed Mamai can be characterized as a Muslim extremist. And at that time there could be no more compromises… We are well aware what happened eight years later on the Kosovo Field in Serbia. Serbia, defeated by the Mohammedans, was under their sway which was very destructive for Christianity. Thus, our prince had to take the sword and begin the liberation of Russia which started at Kulikovo Field: . . .
One of the group's objectives is to embed Lucifer in the public school system by establishing afternoon clubs, adoringly dubbed “After School Satan”, which is TST’s response to a Supreme Court ruling allowing evangelical programs to operate in schools. Currently nine clubs are listed under the program, including in Los Angeles, Salt Lake City and Washington DC. The clubs will focus on “rationalism, free inquiry … and fun”, according to a promotional video. TST itself emphasizes that it seeks to implement “After School Satan” in locations where active Christian children’s clubs operate. The Temple is attempting to present a challenge to the Good News Club, an interdenominational Christian program for five to twelve-year-olds, operating in over 3,500 public schools across the country. States that secede would not have to go it alone. There are friendly confederations out there that they could join, like the BRICS block of nations. But first they need to get over their Stockholm syndrome with Washington City, stop treating the u. S. Constitution like a magic charm, and start organizing for a real Brexit-type referendum. Holy Ælfred the Great, King of England, South Patron, pray for us sinners at the South! St. Regulus, or Rule, is commemorated on October 17/30. According to tradition, in the fourth century at the command of an angel Regulus took a small portion of the relics of St. Andrew the Apostle from Patras in Greece and sailed to the northwest with them. He may have taken several companions with him; among them may have been St. Triduana. Finally Regulus reached the shore of the present-day Scottish county of Fife. There he built a church to keep the relics of St. Andrew, which later was called St. Andrews. This town grew into a center of pilgrimage and Gospel teaching. St. Andrew thus became the patron-saint of Scotland, and the cross on which he was crucified became the national emblem of the country. 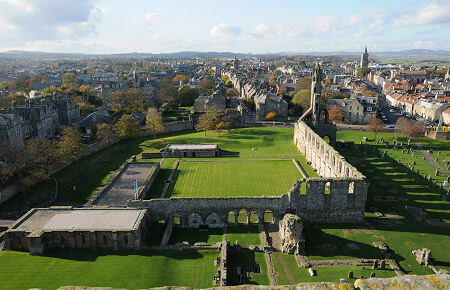 In the twelfth century, a magnificent cathedral of St. Andrew was built on the site of the original church in St. Andrews. It was 120 meters (or c. 390 feet) long. 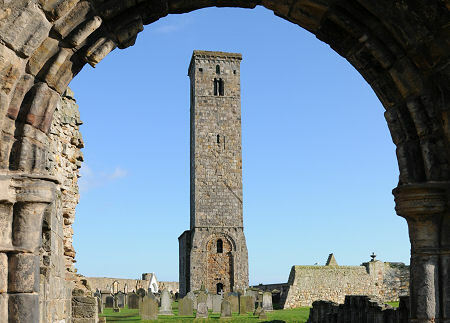 St. Andrews was considered to be the spiritual capital of Scotland, and pilgrims came there from different corners of the world. During the Reformation the cathedral was destroyed, and today only the ruins of this important Roman Catholic cathedral survive. St. Regulus’ tower, which dates earlier than the twelfth century and stands thirty-three meters (108 feet) tall, survives intact. Tiny portions of St. Andrew’s relics are kept inside the Roman Catholic Westminster Cathedral in London. St Andrew’s Cross on Scotland’s flag. This is what the South's own flag is patterned after. Our Founding Fathers fashioned a republic to reflect "the laws of nature and nature's God." From their wisdom – based on God's wisdom – America emerged as the greatest nation in human history. But now in 2016, the heart of America has become hardened to the things of God. This nation, founded upon a respect for Judeo-Christian views of man, nature, and government, soon must regain that respect lest freedom give way to oppression, and democratic ideals are trampled underfoot by tyrants. This has been the pattern of history. In the years between the Stamp Act and the Revolution the evangelical ministry often spoke in the phrases of Sam Adams—who in 1772 explained that the religion and public liberty of a people are so intimately connected, their interests are interwoven and cannot exist separately. Not the least of the consequences of such a blending of interests and issues was that elements of the Calvinist populace were allowed to think that they were defending religion when in fact they were doing battle for civil liberties.
. . . At the time of the Revolution, the vision of America’s sacred destiny remained intense but with an altered foundation. Instead of motivating men to create a Christian society, it encouraged them to bring about a revolution that would ensure the reign of civil liberty. Even more puzzling is someone like Alexander Campbell, founder of the Disciples of Christ, who normally made short shrift of anything historical. Campbell dismissed the value of all the church’s past experience since the age of the apostles—Protestant as well as Catholic. All was entangled with Antichrist. Like Jefferson, he thought no living generation should bow before its predecessors. The only history that did not draw his contempt was the “Ancient Order of Things,” the purity and simplicity of the New Testament church. A more glorious work is reserved for this generation—a work of as much great moment, compared with the Revolution of ’76 as immortality is to the present span of human life—the emancipation of the human mind from the shackles of superstition—to deliver them from the melancholy thralldom of relentless systems. . . . This revolution, taken in all its influences, will make men free indeed. Somehow the work of the founding fathers had escaped the corruption that had left its indelible stain upon two thousand years of history. In Campell’s mind it was precisely the Revolution which broken the tyrannical grip of custom (p. 109). We stand, indeed, in reference to free institutions and the progress of civilization in the momentous capacity of the federal representatives of the human race. . . . The liberty of the world is at stake. The American Congress is now deliberating upon the civil destinies of mankind. . . . [T]he interests of religion are deeply at stake. Here Protestant Christianity is ascendant, and stretches its missionary arm across the globe—we cannot interrupt this divine task with civil strife (James Farmer, The Metaphysical Confederacy, 2nd ed., Macon, Ga., Mercer UP, 1999, pgs. 248-9). Our glory is departed—the spell is broken—whenever we become divided among ourselves (p. 248). Everything ‘depends upon Union’ (p. 248). It is no great wonder, then, that so many Southerners no longer think about leaving the Union. To take anything away from it, in their minds, would lead to the same result as Old Testament Israel losing the Ark of the Covenant: The Glory of God would depart from them. Archbishop Averky was especially wounded at heart when he saw Orthodox leaders trying to keep up with these apostate trends for the sake of “ecumenical” progress, thus contributing to the “new Christianity” of the Antichrist—a “Christianity without the Cross” (Hieromonk Damascene, Father Seraphim Rose: His Life and Works, 3rd ed., Platina, Ca. : St. Herman of Alaska Brotherhood, 2010, pgs. 734-5, bold emphasis added). But what do we find in evangelical communities today? A call to pray for the return of God’s anointed in Russia? Or, closer to home, for Christian kings in the States, or one in Washington City? No. Evangelical pastors overwhelmingly believe voting is a Christian duty. Almost all (94%) say American Christians have a biblical responsibility to vote. That includes pastors of all denominational stripes—from Pentecostal (98%) and Baptist pastors (95%) to Presbyterian/Reformed pastors (81%) and Church of Christ ministers (79%). the longer they continue to view America as the only nation able to receive God’s Grace and to dispense it to the other nations of the world in the form of paper constitutions, bills of rights, privately owned central banks, military bases, etc. ; the longer they will continue on in their political, spiritual, and cultural death spiral. The world will be quite alright if America isn’t there to oversee its affairs. It would probably be better off, in fact. So instead of wasting time and energy fighting about Trump or Clinton, Supreme Court nominees, and all the rest of it, let Southerners, Midwesterners, Alaskans, Puerto Ricans, etc. start planning on how they can all peacefully go their own separate ways, building traditional Orthodox Christian societies as best they can within their new borders, and allying themselves with countries like Russia and Hungary who are in the vanguard of opposing the satanic New World Order, which would likely be hampered for a time without the resources of almighty Washington City at their beck and call. In a healthy country, Orthodox Church life penetrates every aspect of a people’s daily life in the world, so much so that one might say that Church life is the same as the national life. This being so, when holy men and women - saints - appear in a þeod (nation), we should expect them to leave lasting impressions upon its life. And this is what we have seen throughout Christian history, so much so that many places throughout Christendom, in some way or another, have saintly men and women at the root of their culture. Here are a few ensamples from the Irish and British Islands, from where so much of Southern life has its beginnings, that show how the lives of the saints influenced local and national life. St. Edith is still much venerated at her birthplace, in the picturesque large village of Kemsing in Kent. The ancient holy well in the center of the village bears the name of St. Edith. Its water has been known for its healing properties, especially for eye diseases, and local farmers also used its water to bless fields and for rich harvests. Recently the ancient tradition of annual “well-dressing” has been revived there. Local communities organize annual processions to the well. The village’s parish church is dedicated to the Mother of God; it has two beautiful stained glass windows depicting St. Edith and a banner dedicated to her. The front of the Kemsing village hall (a local club) is beautifully adorned with a clock and a statue of St. Edith, who is honored by the villagers. There is another ancient holy well dedicated to our saint—in the Herefordshire village of Stoke Edith in the very west of England. This well was once famous for its curative properties, and pilgrims flocked to it for bathing and healing as late as the mid-nineteenth century. Now it is on private property and not accessible to pilgrims. The local village church is again dedicated to the Mother of God. Thus the memory of the royal princess and virgin Edith of Wilton, who rejected taking up both secular and spiritual power and chose to live in humility and holiness, is preserved in the English land.
. . . At Abingdon, Ethelwold worked with his own hands, growing vegetables in the garden, and as the builder of the monastic church—once he even fell from scaffolding and broke his ribs; by the grace of God he was soon cured. At Winchester, he and some of his monk-builders built a very powerful organ. It was played by two people and had 400 pipes and thirty-six bellows. This organ could be heard from a great distance. It was used only for royal ceremonies. Not only was he a skilled builder and cook, he also excelled in metalwork; he himself cast bells for Abingdon, made censers, chalices, and candlesticks of gold and silver for its church. Following the example of his ninth-century predecessor, St. Swithin, who had built the first bridge over the river in Winchester, St. Ethelwold constructed the first aqueduct (water supply system) at Winchester to provide monastery brethren and neighboring city residents with piped water. 'Baptism of the Lord' - a miniature from the Benedictional of St. Ethelwold(photo from Wikipedia).
. . . Numerous disciples and followers of St. Ethelwold from Winchester, Abingdon and other monastic centers he restored would become celebrated abbots, bishops, and missionaries in the future. Some of them, in the following eleventh century, went to Scandinavia as missionaries and were later listed among the saints of God. Ethelwold built the first scriptoria at Winchester and, under his influence, the Winchester style of manuscript illumination was introduced into many English monasteries and cathedrals. These, according to evidence of that time, even surpassed products of many scriptoria in continental Europe. One of the high points of tenth-century illumination is the Benedictional of St. Ethelwold. The scribe of this Benedictional was monk Godeman from Abingdon, whom St. Ethelwold commissioned to produce this masterpiece at Winchester, after which the latter became Abbot of Thorney. It is very richly and lavishly decorated and has twenty-eight page miniatures. The Latin text contains blessings uttered by a bishop during the Liturgy. Each day of the liturgical year and each saint’s feast-day had a separate blessing. There were highly-ranked feasts of Sts. Swithin of Winchester, Etheldreda of Ely, and Vedast (a French saint). It also contains a blessing of candles for the feast of the Meeting of the Lord. Several distinctive blessings were composed at Winchester itself. 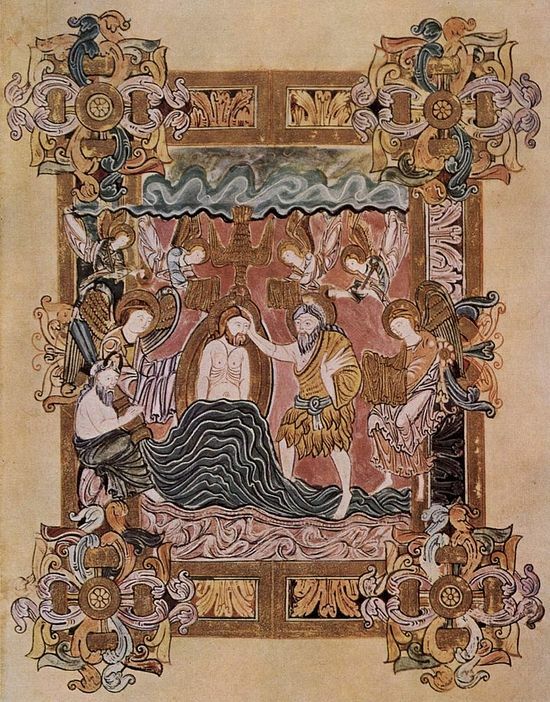 Today this precious Benedictional, which experts regard as one of the best examples of early English art, is kept at the British Library in London. Ethelwold founded a famous and important school for vernacular writing in Winchester. Its scholars, among other things, made accurate and distinct linguistically relevant translations of sacred and spiritual texts from Latin into their native Old English. This huge task was absolutely vital, especially for English priests and bishops who were not monks. This contributed to Old English becoming the literary language of the English state. The most prominent scholar connected with this school is, beyond doubt, Aelfric of Eynsham (c. 955-c. 1020), a celebrated spiritual writer, homilist, and hagiographer of the age; he was a pupil at Winchester. (Aelfric of Eynsham is not to be confused with St. Aelfric of Abingdon (+1005, feast: November 16/29), who was a monk and abbot of Abingdon and was later raised to the rank of Archbishop of Canterbury). Ethelwold was a talented writer, poet, and translator; some of his written works survive. His work includes: a treatise on the circle, glosses on St. Aldhelm’s work On Virginity, the gloss on the Royal Psalter in Old English, and his translation of the Rule of St. Benedict and of “Regularis Concordia” (a sort of a handbook of monastic practice, see below) into Old English. 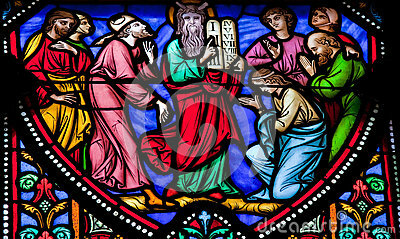 Ethelwold also created works of Church art, but, unfortunately, none of them survive. Liturgies at Winchester monasteries were rich and varied. Ethelwold’s Winchester was famous for producing the first collection of polyphonic singing in England (in two or more parts each having a melody of its own), called the “Winchester Troper.” The Troper (from the Greek “troparion”) probably contains the earliest large collections of two-part music in all Europe. Firstly, it comprises more than 160 examples of two-part pieces, probably composed by Wulfstan the Cantor, whom St. Ethelwold knew. For a long time, it was thought that the music in the Troper could not be deciphered and sung. However, modern scholars have enabled this music to be both played and performed, even publishing recordings available today on CD. Secondly, it comprises a complete liturgical drama with music, making it the earliest extant European play with music! The Troper is comprised of two separate manuscripts, one of which is kept at the Bodlean Library in Oxford, and another kept at Corpus Christi College of Cambridge University. St. Ethelwold served as Bishop of Winchester for twenty-one years. Whatever he undertook was blessed by God, which is why his works had such a lasting effect. Three remarkable events marked the final years of his ministry. The first was the promulgation of the document called “Regularis Concordia” in 970, a code of monastic rules, compiled and developed mainly by St. Ethelwold, with the participation of Sts. Dunstan and Oswald, for the thirty reformed English monasteries. It was based primarily on the Rule of St. Benedict of Nursea, with some minor additions according to customs existing in Ghent (Belgium), Fleury (France), and Glastonbury. The second event was the translation of the relics of the wonderworker, St. Swithin of Winchester, in 971, into the magnificently restored Old Minster Cathedral of Winchester. From that time on, St. Swithin’s shrine was the destination of thousands on annual pilgrimages from all England and Europe, throughout the Middle Ages. The third event was the consecration of the Cathedral in Winchester in 980. This cathedral was destined to be one of the largest and greatest in all Europe and also a center for the arts. The grandeur and scale of that Cathedral have only recently been duly appreciated by scholars. Each of these three events was marked by a large, solemn assembly of clergy, laity, and royalty, and the consecration of the Cathedral brought together nine bishops. The monasteries established or revived by Sts. Dunstan, Oswald, and Ethelwold in the second half of the tenth century provided up to three quarters of all the bishops in England, right up until the Norman Conquest. Over the span of twenty to thirty years, the spiritual picture had changed radically in England; monastic life, Church activities, family piety, education, various crafts, and the ascetic life were raised to a very high level. This was the “Silver Age” of English Orthodoxy. St. Winifred, whose name in her own language was Gwenfrewi, was born in North Wales in the early seventh century, when Christendom was still whole, and many great saints where living on the British Isles. . . .
Holywell first enters written history in 1093, when ”Haliwel” was presented to St. Werburgh's Abbey, Chester. In 1240, the Welsh prince Dafydd ap Llewelyn, once more in control of this area in Wales, gave the holy well and church to the newly-established Basingwerk Abbey; and the Cistercian monks cared for the well and its pilgrims until the Reformation. Winifred's fame, and with it the fame of the Well, continued to spread throughout the middle ages, but little is factually recorded about the pilgrimage. By 1415, her feast had become a major solemnity throughout Wales and England. Kings could be found among her pilgrims. Henry V came in 1416. Richard III maintained a priest at the Well. But it was during the reign of the Welsh Henry VII that devotion reached its pinnacle, with the building of the present well-shrine under the patronage of Henry's mother, Margaret Beaufort. Such glory was short lived, though the Well's fame was never eclipsed. The Reformation swept away shrines and pilgrimages; but no attempt ever quite succeeded in destroying devotion to St. Winifred at her Well. Through all the years of religious persecution, pilgrims, Catholic and non-Catholic alike, continued to visit Holywell. It became the centre of Catholic resistance. James II and his queen visited the Well in 1686, to pray for an heir. But James was exiled, and the persecution renewed. Through these long years, Holywell and its pilgrims were served by the Jesuits. They wrote popular Lives of the saint; and even kept inns in the town, where Mass could be said in comparative safety. In the nineteenth century, after Catholic Emancipation, it was the Jesuits who oversaw and directed the spectacular renaissance of the pilgrimage. A church opened in the town in the 1840's was constantly enlarged and enriched. A pilgrim's hospice was erected shortly afterwards. And under Fr. Beauclerk in the 'nineties, the pilgrimage underwent a revival of medieval proportions. Pilgrims came literally in thousands, necessitating a branch rail line into the town. The popular press gave account of each reported cure. And the sick reported cures in such numbers that Holywell came to be called the 'Lourdes of Wales'. Despite the alterations to pilgrimage patterns caused by the increasing secularism of 20th-century life, and by devotional changes within Catholicism itself, the Jesuit's heritage continues: people are still coming to Holywell on pilgrimage. St. Ciaran reposed in the Lord in about 545 (or about 549), dying from the plague, living only until the young age of 33. Several other Irish saints also died of the same plague at that time. His abbacy lasted for less than a year, but over his short life Ciaran attained sainthood and remained for many centuries a father to thousands of Irish monks. St. Columba of Iona, a friend of St. Ciaran who had studied together with him in Clonard, called him “a lamp shining with the light of true wisdom.” St. Kevin, a great hermit and wonderworker of Glendalough, was also among Ciaran’s friends. Alcuin (c. 735-804), an English scholar at the Frankish court, who had studied in Clonmacnoise, referred to St. Ciaran as “the glory of the Scots (i.e., the Irish)”. Many noted chroniclers, poets, theologians, artists, architects, sculptors, historians were educated in this renowned monastic centre; for example, Dicuil, a brilliant geographer. The monastery of Clonmacnoise, founded by St. Ciaran, at first with only his ten disciples, grew very rapidly and by the eight and ninth centuries had become the largest Irish monastery and centre of learning and culture. The same fame was enjoyed by its school-seminary, which had been founded by the abbot himself and afterwards became “a smithy of saints”. Researchers stress that this seminary was not merely of regional, but of national importance. In the eleventh century the site of the original small wooden monastery was dominated by a massive new stone monastery, in which already some 1500-2000 monks lived. In the seventh-twelfth centuries—the monastery’s period of particular prosperity—hundreds of learned monks flocked to Clonmacnoise from the whole of Europe. Clonmacnoise developed into a real monastic city and was considered to be the most famous in Ireland. The monastery could boast of its school, a scriptorium for copying manuscripts, and numerous churches. Masters from Clonmacnoise created the most excellent artworks from stone and metal in all Ireland. Many kings of Connacht and Tara were buried and rested within the monastery. By 1408 the brethren had completed writing The Annals of Clonmacnoise, which was a chronicle of historic events in Ireland from the prehistoric period till 1408. The monastery possessed a large number of high and round Celtic crosses; most of them, sadly, were destroyed by the Vikings, and in 1552 by radical Protestant-iconoclasts who ravaged and desecrated Clonmacnoise Cathedral. This holy monastery existed until the sixteenth century, and over its history suffered from forty different raids! The shrine with the saint’s relics was also subjected to desecration and pillaging more than once. However, St. Ciaran’s staff did survive and is now kept at the National Museum of Dublin. Today in Clonmacnoise, Catholic and Orthodox pilgrims visit the well-preserved ruins of the ancient monastery. On this old monastic site (the nearest town to Clonmacnoise is Athlone, some twelve miles away) very ancient churches partly survive as well, and some of them have been restored in recent times. The ninth century St. Ciaran’s Church contains the former grave of St. Ciaran. In Clonmacnoise you can also visit the Cathedral, which was originally built in 909 and partly restored not long ago. A number of unique Celtic crosses, which are of a special interest, miraculously survive here to this day. One primary school in Dublin is dedicated to St. Ciaran.
. . . But the man of God’s main achievement was the foundation on the river Lee of his most important and influential monastery, on the site called Cork, which in the tenth century would become a thriving town. Now it is a very beautiful city in the south of Ireland. In effect the city of Cork grew and developed around the saint’s monastery. Thus, Finbarr, the first Abbot of Cork, was one of many early saints of the British Isles and Ireland who contributed to formation of future large settlements with their churches or monasteries at the center of the community. About the year 600, St. Finbarr was consecrated the first bishop of Cork. The celebrated Monastery of Cork became a center of monasticism in southern Ireland, and many pious men gathered there from all over Ireland in order to be trained in monastic life and to live in holiness. St. Finbarr gained general love and respect as a brilliant and experienced teacher and a loving father of his flock. At the school-seminary that was founded at Cork Monastery, spiritual and secular sciences were taught and students prepared for priesthood. This place became known as a center of learning, a seedbed of saints, a sanctuary of Christian virtues, a refuge for the oppressed, a shelter for the sick and the poor. St. Finbarr did not stop his activities as a builder – he erected no fewer than twelve more churches in the Cork region during his ministry there. He preached the Gospel tirelessly throughout his life, and as a bishop he trained and ordained many deacons, presbyters, bishops. He baptized many people, and became known as a great wonderworker. Fintan often visited the monasteries and churches he had founded as part of his pastoral care, especially Gougane Barra – his most favorite creation – where he sometimes withdrew for quiet prayer. The South claims to have a Christian culture, and in some respects this is so. But when measured against the life of her Orthodox forebears, she still has a lot of work to do. If the South truly wants to have a Christian culture in the fullest sense of the words, she must start cultivating saints again. But to do this, she will have to reject pluralism and move as one people into the Orthodox Church, where Christ in His fulness dwells. For - to borrow an analogy from Fr Evan Armatas - if all the oarsmen of a boat are not rowing together in harmony, the boat goes nowhere. And this is what has been happening in the South since the time of the Great Revival in the early 19th hundredyear (though there are some praiseworthy things about Southern Christianity, which we have touched on elsewhere): Baptists, Church of Christ, Methodists, Pentecostals, Presbyterians, and all the rest have been teaching different doctrines about the Church, baptism, the Lord’s Supper, the Holy Ghost, etc. When this is the case, no great progress will be made spiritually in a nation, for there is constant argument, factionalism, and disharmony. So has the South been adrift for many years now. But when all share the same life in Christ in the Orthodox Church, then will the South know true blessedness and show it forth in manifold ways in a sanctified culture.